CAMO edge decking screws are specifically designed for use with CAMO Marksman Pro tools, engineered to be used without pre-drilling* when attaching wood, composite or PVC boards. 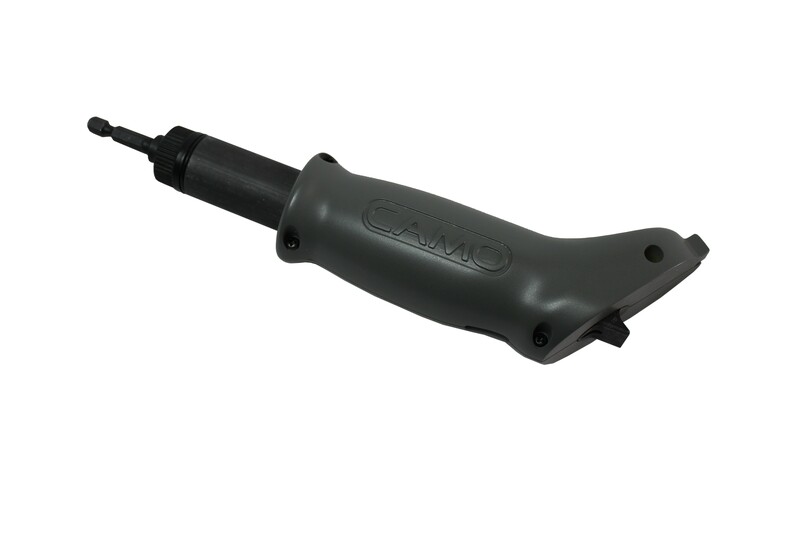 You'll need a CAMO Marksman Pro tool , CAMO fasteners and the right size of CAMO driver bit to use with your drill. That’s all. 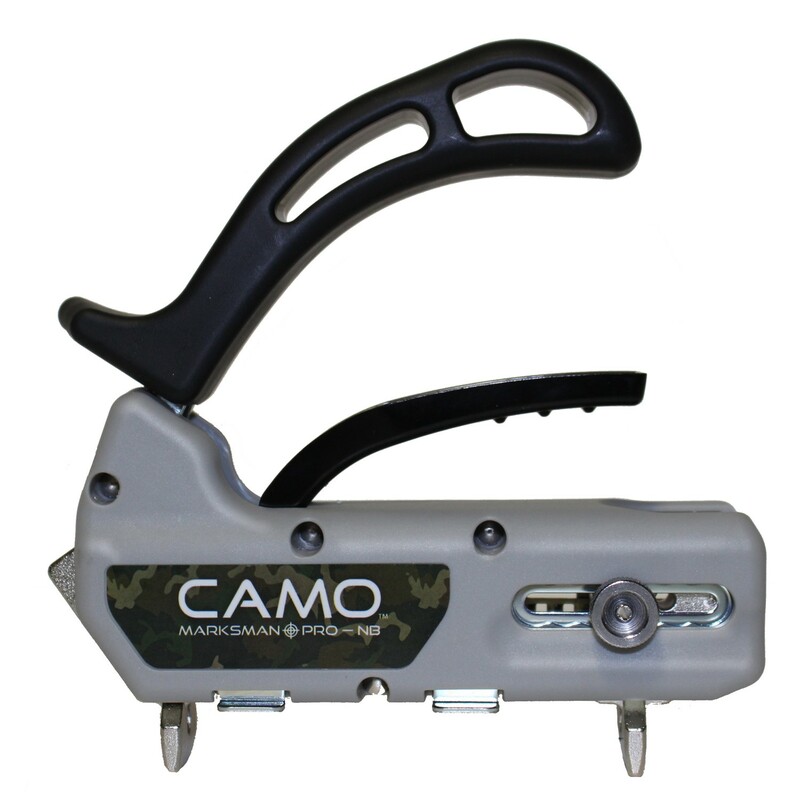 The CAMO Marksman Pro slots onto each decking board above each joist. 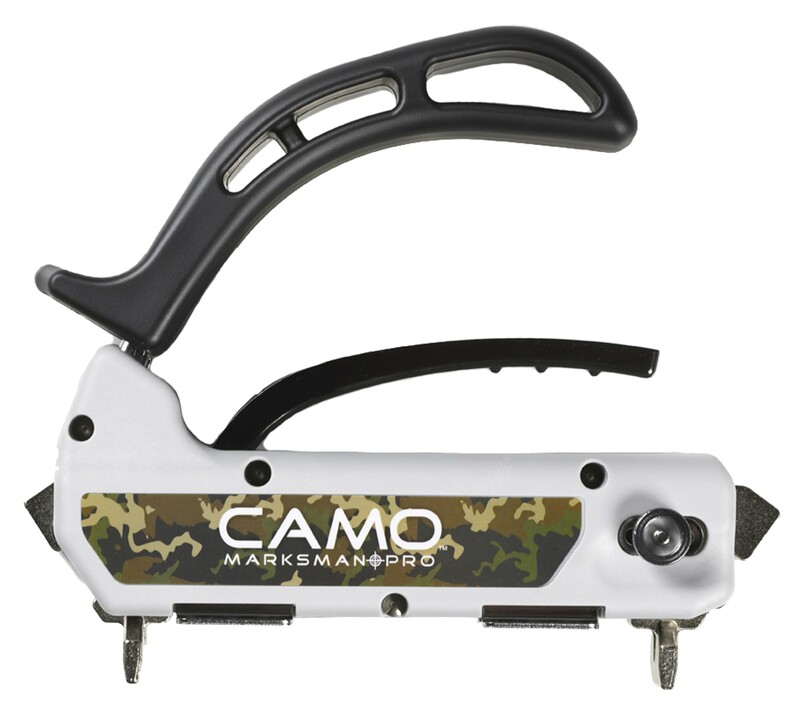 With a quick twist of the dial you’ll lock the Marksman Pro to the board. Spacer teeth guarantee you maintain the ideal gap between boards and ensure all boards are in perfect alignment. Then attach your CAMO drill bit to your drill, load the CAMO decking screws into the Marksman Pro guide-holes on each side of the tool, and drill them into place. That’s it. Move on and secure the board to the next joist. No more over-drilling, no more split deck boards, no endless measuring and no more fuss. Just a quicker job done and a professional finish with no visible screw heads.